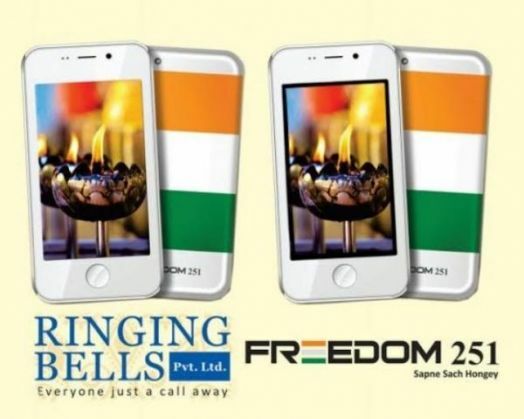 Home » tech news » Want to buy the Ringing Bells' Freedom 251? Read this first! A smartphone cheaper than a medium size pizza? 'Freedom 251' has created buzz on social media for its specifications and affordable price that makes it India's cheapest smartphone. However, there are many things which are unanswered and creating controversy. Noida-based smartphone company Ringing Bells made headlines earlier this week when it announced the launch of the world's cheapest smartphone. The 4-inch Freedom 251, a smartphone priced at an unbeatable Rs 251, offers a number of specifications, including a 3.2MP auto-focus rear camera, a 0.3 megapixel front camera, a 1.3GHz quad-core processor and a 1450 mAh battery. What's more, it runs on Android 5.1 Lollipop. Sounds too good to be true? Well, it may just be. The phone was launched by Ringing Bells president Ashok Chadha and BJP leader Murli Manohar Joshi on 17 February. Defence Minister Manohar Parrikar was supposed to launch the phone but did not make it to the event. PTI reported that the Indian Cellular Association has written to Telecom Minister Ravi Shankar Prasad to probe the company and the phone. The mobile body claims the price of the phone could not be below Rs 3,500 even after a subsidised sale. As the phone opened for bookings on 18 February, a number of prominent news agencies and tech reviewers reported concerns with the device. A Hindustan Timesreport - one of the first reviews of the phone - points out that the Freedom 251 may be stepping on the toes of tech giant, Apple, with its blatant design rip offs. "Most built-in app icons on the Freedom 251 are a direct copy of icons on Apple's iPhone," the HT article states. The HTarticle also claims that the phone was emblazoned with the logo of Adcom - an e-commerce company that has denied having any association with Ringing Bells. The actual phone looks rather different from the phone advertised on the Freedom 251 website. What's more, the phones advertised in print and online media as well as on social media platforms also look very different from the Rs 251 model. A dnareport, highlights that the Freedom 251 website has a disclaimer on its website which claims that the company has no accurate information on the actual product. The dna report also claims that the company has denied to take any questions from or meet any media personnel - a claim that most news agencies have echoed. 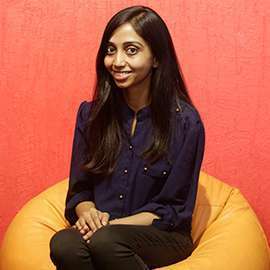 Ringing Bells was reportedly set up only in September 2015. And the company's website was registered in August 2015. The Indian Expressquoted Ashok Chadha as saying at the Freedom 251 launch event that the company plans to "capture 30 per cent of this 2 crore per month smartphone market share in India by the end of the year". How does a five-month old company plan to achieve this target? The company hasn't elaborated on their plans, so far. Book a phone now! Oh wait, you can't! The company promises to deliver the phones in four months since the date of booking. So if you book a phone today, you can hope to get your hands on the product in June. If you're okay with that, head on to the Freedom251 website. But know that those who have tried to book the phone have not been able to get beyond the Pay Now page on the website. People took to social media to lament about being unable to book the phone, with some even trolling both Ringing Bells and the Freedom 251 phone. How does Ringing Bells plan to meet its ambitious target? How will they meet the massive demand? How will they respond to the design infringement charges? Why was a different model advertised? Will you ever get your hands on the world's cheapest smartphone? Ringing Bells needs to answer an increasing number of questions, and soon.